Pulitzer Prize-winning journalist and author Isabel Wilkerson will take the stage Nov. 27 at Indiana State University's University Hall Theater in conjunction with the University Speakers Series. Her presentation is being co-sponsored by the Charles E. Brown African- American Cultural Center, interdisciplinary programs, and the ISU history department, celebrating the 40th anniversary of the university's African-American studies program. In "The Warmth of Other Suns," Wilkerson brings to life one of the greatest underreported stories of the 20th century, a migration that reshaped modern America. From World War I to the 1970s, some six million black Americans fled the American South for an uncertain existence in the urban North and West. They left all they knew and took a leap of faith that they might find freedom under the Warmth of Other Suns. Their leaving became known as the Great Migration. It set in motion the civil rights movement and created our cities and art forms. Wilkerson interviewed more than 1,200 people, unearthed archival research and gathered the voices of the famous and the unknown to tell the epic story of the redistribution of an entire people. "The Warmth of Other Suns" is a National Book Critics Circle Award Winner and a New York Times Top 10 Best Book of the Year. It has also been recognized with the 2011 Anisfield-Wolf Award for Nonfiction, the 2011 Lynton History Prize from Harvard and Columbia universities, the Stephen Ambrose Oral History Prize, the Independent Literary Award for Nonfiction, and the NAACP Image Award for best literary debut. Wilkerson won the Pulitzer Prize for her work as Chicago bureau chief of The New York Times in 1994, making her the first black woman in the history of American journalism to win a Pulitzer and the first African-American to win for individual reporting. A reception and book signing will follow Wilkerson's presentation, which will begin at 7 p.m. in University Hall Theater located at 401 N. Seventh Street. Patrons can park in Lot 15, accessible from Eighth and Ninth streets. The program is free and open to the public. Now in its 32nd season, the University Speakers Series has brought the likes of Ralph Nadar, Gerald Ford, Sister Helen Prejean, Amy Tan, Nancy Grace, Andy Rooney, Robert Ballard, Carole Simpson, Marlee Matlin, Maya Angelou, Jim Lovell, Garrison Keillor, Bob Woodward, Robert Osborne, Mitch Albom and Andrew Young, John Dean, Erin Gruwell and Michele Norris to the campus of Indiana State. More information about the 2012-13 University Speakers Series can be found at http://www.indstate.edu/speaker/ or by calling 812-237-3783. 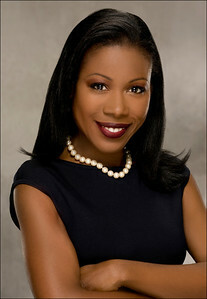 Pulitzer Prize-winning journalist and author Isabel Wilkerson will take the stage Nov. 27 at Indiana State University's University Hall Theater in conjunction with the University Speakers Series.